The Estates on Admiral’s Hill (www.admiralshill.org) will hold an open house for its two assisted living residences .Featuring a spring time theme, the menu will include seasonal appetizers and home-made desserts. Additionally, there will be one-on-one consultations with Executive Director Betsy Mullen, Resident Relations Director Kristen Donnelly and Chef Michael Millard. They will discuss making the transition to an assisted living residence as well as provide conduct private tours and answer questions. 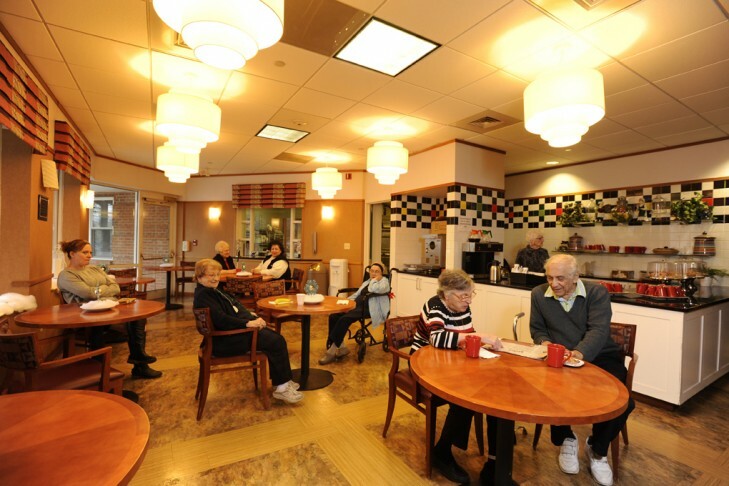 Located at 201 Captains Row in Chelsea, the Estates on Admiral’s Hill is comprised of two separate residences: Cohen Florence Levine Estates, a traditional assisted living and Florence & Chafetz Home for Specialized Care, a memory support residence for those with Alzheimer’s and dementia. Amenities include fresh, healthy meals, a 24 hour café with made-from-scratch baked goods, hair and nail salon, library, living room, great room for concerts and shows, dining room and outdoor courtyard area for seasonal recreational activities. To RSVP to the open house and receive a complimentary welcome gift, please call Kristen Donnelly at 617-889-8740 or email kdonnelly@chelseajewish.org.